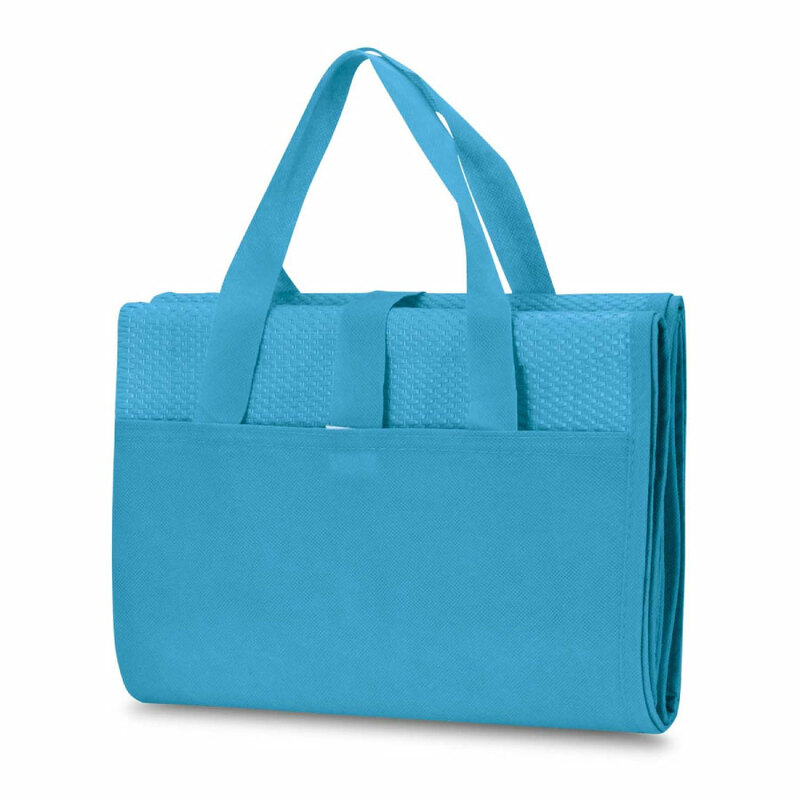 A promo beach mat suited for beach and sand! Tired of going to the beach and having to dry yourself off with sandy towels? Not anymore! These beach mats are the perfect companion to any day out to the beach or park. 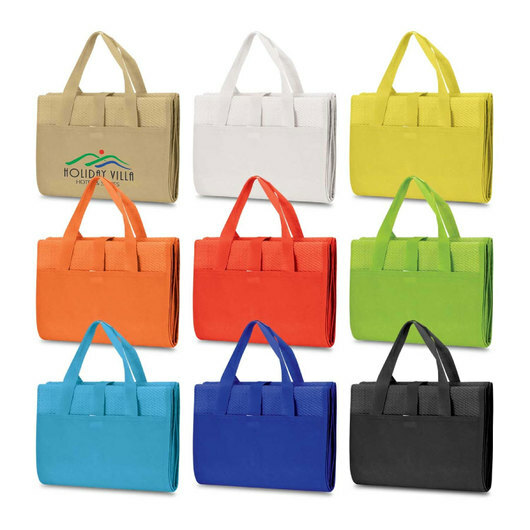 They are made from a thick woven polypropylene fibre and fold down into a compact 80 gsm non-woven carry case complete with handles when not in use for easy transport. They feature a print of your logo and come in many attractive colours.